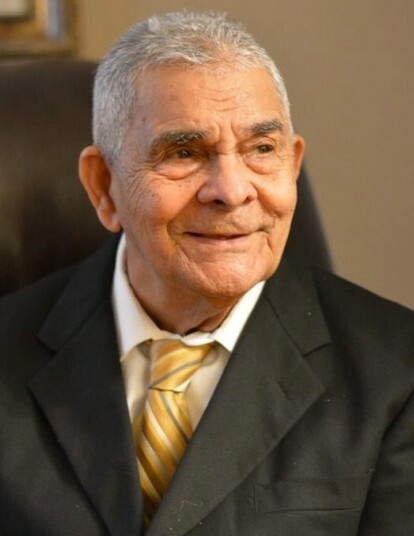 Mr. Geronimo A. Rodriguez Dominguez, age 86, of Lawrence, died on Sunday, March 31, 2019 at his home in Lawrence, surrounded by his loving family. He was the loving husband of Martina Rodriguez. Geronimo is survived by four children, Camilo Rodriguez & his wife Maribel Ramirez, Belkys (Berta) Rodriguez Paulino & her husband Rafael Paulino, Marilendiz Rodriguez, Yahaira Rodriguez & her husband Alfredo Espinal; eleven grandchildren, Sabrina Paulino, Sabriel Paulino, Yadelkys Santos, Mia Espinal, Arianny Rodriguez, Ariel Rodriguez, Christhian Taveras, Cristopher Taveras, Angel Camil Rodriguez, Justin Rodriguez & Joshua Rodriguez. Relatives & friends are invited to attend visiting hours at the Diaz-Healy Funeral Home, 107 South Broadway, Lawrence on Thursday, April 4, 2019 from 5 - 8 p.m. on Friday, April 5, 2019, Geronimo’s funeral will begin at the funeral home at 9 a.m. followed by a funeral mass at St. Mary of the Assumption Church, 300 Haverhill & Hampshire Streets, Lawrence at 10 a.m. Interment will take place at St. Mary Cemetery in Lawrence.